It’s no secret that Brazil’s decision to host the 2014 World Cup was the source of controversy. 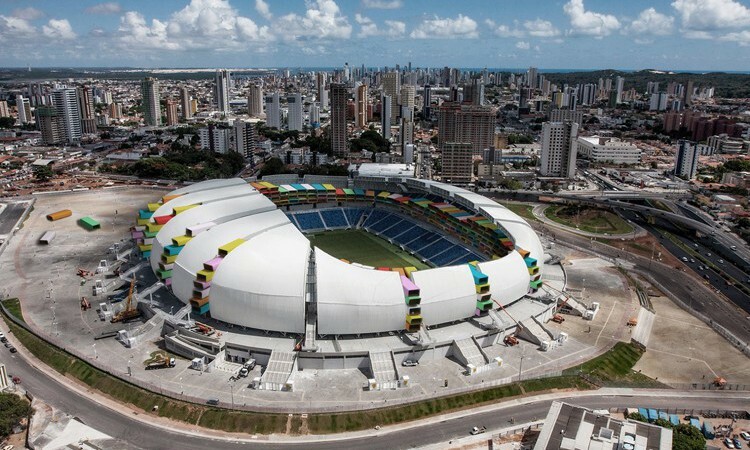 With roughly $4 billion spent on renovating and constructing the stadiums needed to host the international event, many wondered why that money could not have been spent addressing other infrastructure concerns – such as providing housing and utilities for its many impoverished citizens. However, drawing inspiration from the social issues plaguing much of the publicity around the event, a pair of French architects have developed a proposal to re-invent the structures as complexes for low-cost housing. While most of the stadiums constructed for the World Cup will continue to host football matches, Brazil’s local teams stand to draw a fraction of the crowds that attended the event, doing little to assuage concerns of wasted resources. Other buildings, such as the Arena da Amazonia, face a less certain future. Located in the jungle city of Manaus, the 44,500 seat stadium is perhaps the most contentious of Brazil’s World Cup creations. A local judge proposed converting it into a center for temporary detainees to tackle the city’s overflowing prisons, though this was met with fervent opposition from government officials. The project covers 12 Brazilian stadiums. There are actually six stadiums where we can colonize the exterior facade. Five of these have an exterior structure composed of concrete and metal columns separated by seven or eight meters (23 to 26 ft). We just have to insert pre-fabricated housing using the existing structures. The remaining stadiums would see housing modules that are 105 m2 (1,130 ft2) fitted to the interior at the expense of rows of seating, the only difference between these and those receiving exterior additions being the installation process. 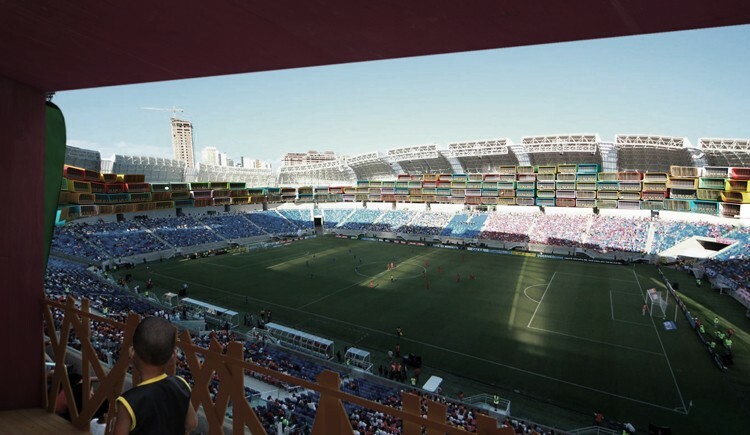 Conscious of Brazil’s adoration for the world game, the proposal would see the stadiums altered slightly, but continue to host matches with profits going towards ongoing maintenance and construction of the housing. The project is based on modular pre-fabricated houses. So the only thing that changes is the implantation of the houses… We think that the concept is achievable in all 12 stadiums. You just have to take up some seating and reduce their capacity a little bit. The team guesses that if converted, the stadiums could each house between 1,500 and 2,000 people per building, and a total of approximately 20,000 across the entire project. 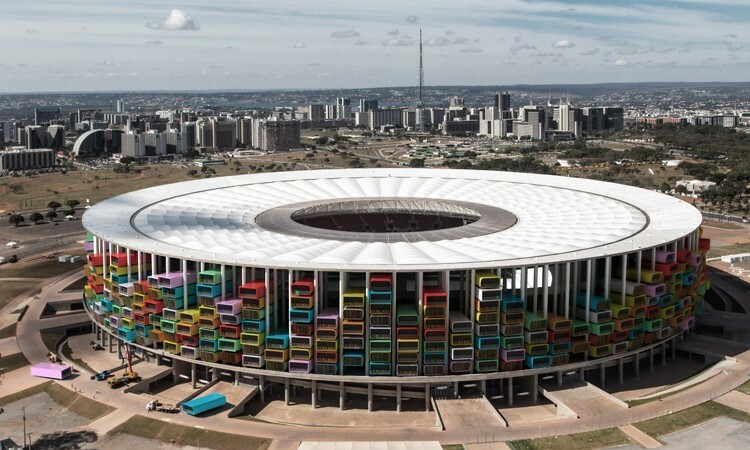 This bold proposal for Brazil’s stadiums forms part of a year-long architecture project called 1 week 1 project, where the pair endeavor to produce spontaneous architecture projects every week for one year. While they don’t have current plans to take the Casa Futebol beyond the concept stage, it is hoped that the project can inspire more socially-conscious approaches to problems of this kind. Combined with 3-D printed housing and other prefab housing projects, this kind of re-purposing of existing infrastructure is a way of addressing the problem of slums, something which goes far beyond the developing world. Intriguing idea and on the one hand laudable for the vision — but the skeptic in me has to wonder whether mass produced and tightly packed units in a throw-away stadium won’t become Lego-looking slum tenements if the underlying issues of poverty and inquiry aren’t addressed.